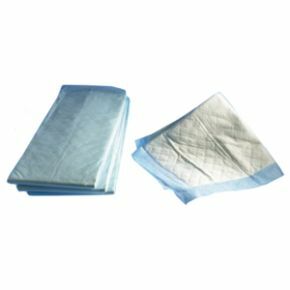 Disposable Bed And Chair Protectors Waterproof Backing. 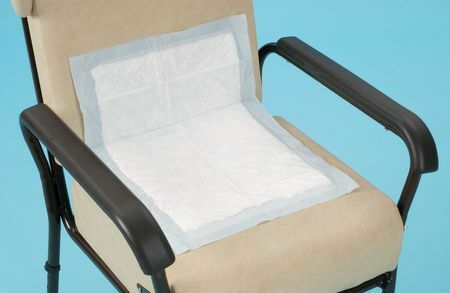 Disposable chair or bed protectors that offer protection for furniture and keeps the user comfortable. Any liquid diffuses quickly throughout the pad, but the waterproof backing ensures leakage protection. My orders are always dispatched speedily, efficiently and well packed. The staff who answer the phone are always very friendly and helpful. Thank you. Very absorbent covering a large area. I am very grateful your company has made it so easy to provide my aunt with her requirements. They are perfect for her. I hate shopping searching then trying to carry awkward packages back to the car. Looking after a 92 year old is hard work. Your company is just making the task easier. I may get the next order delivered to her address. Thank you. Excellent product that I purchase regularly.